The company that I am currently working had a farewell dinner for me, Yee Lim and Candy on this peaceful Friday evening. 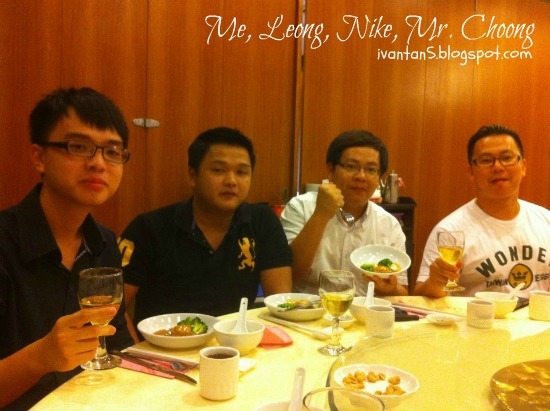 This was the first time all my colleagues had the chance for dinner together. It was at Kok Thai Restaurant along Kuala Kangsar Road. We had shark fins as appetizer (although it's not so encouraging by most) and followed by abalone. 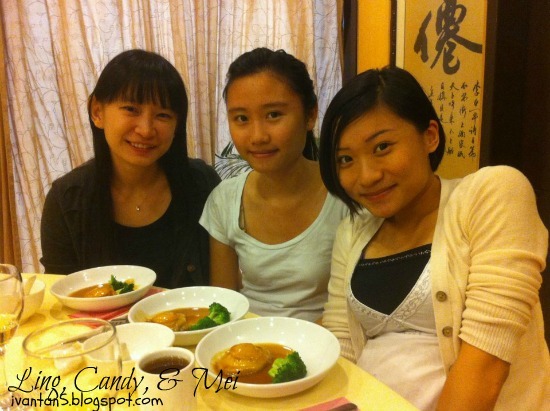 This was actually the first time I tasted the UFO-shaped abalone with its delicious gravy.